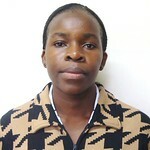 Everlyne Nyakundi joined the International Livestock Research Institute (ILRI) on 15 July 2014 as a refrigeration and air conditioning technician. She previously worked with LG Hotpoint Appliances and with Limuru Milk Processors, dealing with chiller and freon systems and in Diani Reef Beach Resort and Spa in maintenance. Nyakundi holds a diploma in mechanical refrigeration and air conditioning and has training on safety and health by the Federation of Kenya Employers. 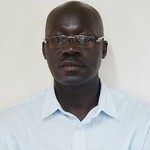 Julius Osaso has been appointed as the diagnostic platform manager at the Biosciences eastern and central Africa (BecA)-ILRI Hub effective 15 July 2014. He holds a MSc in biotechnology from Kenyatta University, a higher national diploma from Technical University of Kenya and a certificate in immunology from the Technical University of Munich, Germany. He previously worked at the University of Nairobi as a research technologist in the faculty of veterinary medicine, he later worked as laboratory manager of the BecA-ILRI Hub before joining the private sector at Africa Biosystems Limited. Osaso has received certifications to deliver training and applications support on many life science instruments/reagent products. He joins the BecA- ILRI Hub to contribute to capacity building at the hub and associated National Agricultural Research Systems (NARS). 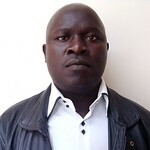 George Kikoyo joined ILRI on 21 July 2014 as a program accountant in the Livestock Systems and Environment Program. Prior to joining ILRI, he worked with Youth Alive! Kenya, an NGO that empowers the youth on democracy and governance. He has also worked with African Technology Policy Studies network (ATPS) an NGO that promotes science, technology and innovation policy research, dialogue and practice for development. Kikoyo holds a BA degree in economics and sociology from the University of Nairobi and is a certified public accountant. 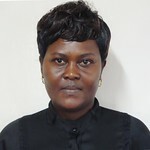 Elvira Omondi joined ILRI as a program management officer in the Animal Biosciences Program on 1 August 2014. She holds an MA degree in public Administration from Cornell University, USA and a BSc in agriculture from the University of Nairobi. 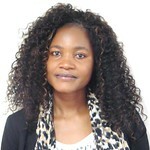 Prior to joining ILRI, Omondi worked as a project management officer at the International Centre of Insect Physiology and Ecology (icipe). She also worked as a consultant with the CGIAR Research Program on Climate Change, Agriculture and Food Security (CCAFS) at ILRI, Nairobi where she supported the program’s management activities. 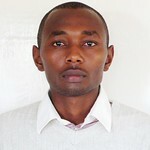 Omondi has also worked with World Vision US, and the Kenya Agricultural Research Institute (KARI). holds two masters degrees in gender and in development and ethnicity from the universities of Hull, UK and Utrecht in the Netherlands respectively. She hopes to further develop her skills in integrating gender into development for livestock and fish projects. Dorine Odongo joined ILRI on 1 August 2014 as a communications and knowledge management specialist for the Livelihoods, Gender and Impact (LGI) and Livestock Systems and Environment (LSE) programs. She holds a master’s degree in agricultural information and communication management and a bachelor’s degree in biological sciences, both from the University of Nairobi. Dorine has previously worked as a research officer with KARI. Odongo is also an alumnus of the International Centre for development oriented Research in Agriculture (ICRA) in the Netherlands and is a member of the International Association of Agricultural Information Specialists (IAALD). 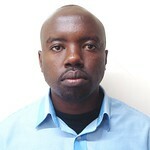 Elijah Mwaura joined ILRI as an accountant-payables, utilities and outsourcing services on 1 August 2014. Prior to this appointment, he worked at ILRI as an accountant. He holds a BA degree in commerce from Egerton University and is currently undertaking his public accountant certification. 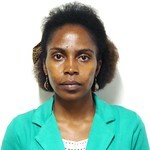 Millicent Liani joined ILRI as research technician-gender in the Livelihoods, Gender and Impact Program on 1 August 2014. She holds MA and BA degrees in anthropology from the University of Nairobi. 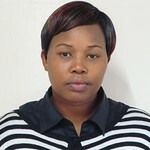 Prior to joining ILRI, she worked as a research assistant for African Population and Health Research Center (APHRC). Liani has also worked for Family Health International and the Kenya Medical Research Institute. 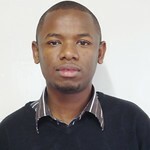 Silas Okech joined ILRI as a research assistant on 1 August 2014 in the Policy,Trade and Value Chains Program. Okech’s career track has included work assignments with Kenya Commercial Bank, Old Mutual Insurance Company Ltd. Barclays Bank of Kenya, Agricultural Market Development Trust (AGMARK-Kenya) and International Center for Tropical Agriculture, Uganda among others. He also worked as assistant lecturer at Kisii University, Kenya. Okech holds an MSc and BSc in agricultural and applied economics from Egerton University, Kenya and is a member of the certified public accountants of Kenya. Solomon Kilungu joined the CGIAR Research Program on Climate Change, Agriculture and Food Security (CCAFS) East Africa as a communication assistant on 1 August. He has experience in graphic design, photography, website content management, social media management, media management, event organization and organizational writing. He has previously worked for a public relations agency and organized media visits to international organizations, Basic Needs, UK in Kenya as a youth coordinator and communication support and recently with Christ is the answer ministries (CITAM) in Kenya. He has a BA degree in communication focusing on public relations from Daystar University. Caroline Kanyuuru joined ILRI as research technician-monitoring, evaluation and learning in the Livelihoods, Gender and Impact (LGI) Program on 1 August 2014. Caroline holds an MSc in world animal production from University of Wales, Bangor (UK) and a BSc in Animal Production from Egerton University in Kenya. She is currently pursuing a Ph.D at the University of Nairobi (Kenya) in the field of range management. Kanyuuru has worked in research, development and academia. She worked as a lecturer at the University of Nairobi while pursuing her doctorate study, and has also been engaged in consultancy work in the areas of livestock value chains, monitoring and evaluation and strategy development. She also recently worked as the livestock program manager at the Northern Rangelands Trust, Isiolo, Kenya. Previously she also worked with ILRI as a food Safety research assistant in a camel products value chain in northern Kenya.